The purpose of Model Parliament is to provide students with an engaging and educational experience, which inspires an appreciation and respect for the parliamentary process. Through the process of simulating the actual debate and legislative procedure that our parliamentarians follow, our participants can have an up-close understanding of how the process functions. Our Philosophy is "Fake Politics, Real Procedure". 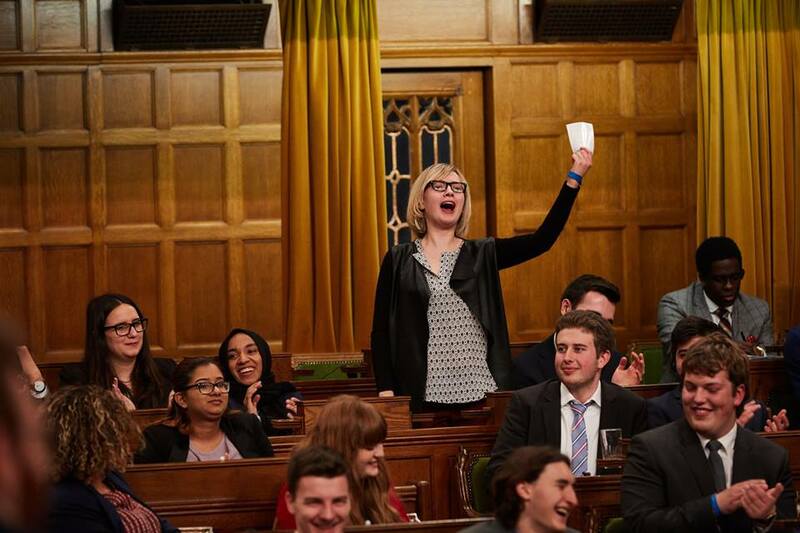 In order to keep the focus on the process, rather than the politics, the University of Ottawa Model Parliament refrains from discussing and debating real political issues or representing the actual federal political parties. Our participants range from highly partisan to fully politically neutral, therefore to keep the event accessible to participants from a wide range of real-world political involvement, we focus on fake issues. The fake issues that have been discussed in Model Parliament's history have included parties, whose policy was focused on pirates, computers, beaches, being cool/classy, Star Wars, and many other made-up issues. The intent is to keep the event light-hearted and enjoyable for all. That is why our philosophy will prioritize fake politics and real procedure.